It is used for conveyor belt winding or coiler application. 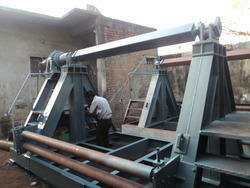 We are involved in providing the wide range of De- Coiling Machine. 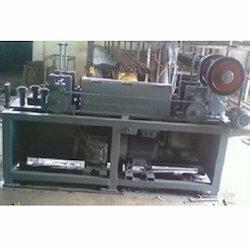 We fabricate wire straightening machine which can process up to 6 mm to 16 mm we can De Coil or straighten the wires. It is highly durable and has excellent quality. It is available at the market leading prices. The transformation of a big coil into a smaller coil is an increasing demand for all customers who uses coils. With a recoiling line from CIDAN Machine you can offer this service with a greater margin. Our company has gained name and fame in presenting Recoiler Machine. A coil is processed with high precision to the width and length suitable for the purpose required by each end user. Meticulous quality control throughout the process ensures the highest level of customer satisfaction.